Roof conversions and property upgrades of all descriptions. Pitched Roofs: Slate or Tiled. Flat Roofs: Built-up Felts, EPDM, Single Ply. All types of external render including Dash Finish. In the event that your requirement isn't listed please ring our free phone help line on 0800 68 999 08. 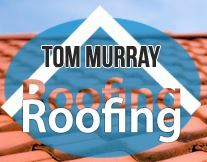 We hope you can find everything you need, Tom Murray Roofing is focused on providing high-quality service and customer satisfaction is our constant goal. We will do all within our power to meet your expectations. With a variety of offerings to choose from we are sure that you will find working with us a satisfying experience. We offer free helpful advice upon request in order to assist in choosing the right materials to best suit your budget. Making us the first choice for anyone in need of roofing repairs or new roofing installations/General Building. Simply complete our contact form or send email / text and we will return your inquiry within 24 hours. Waltham Cross, Pinner, Harrow, Siuthall, Croydon, Loughton, Ilford, Orpington, Slough, Woking, Luton & more London areas.